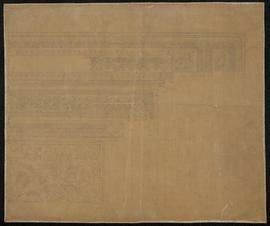 Source of title proper: Title from the content of fonds. 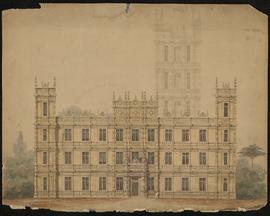 Sir Charles Barry (1795-1860) was one of the preeminent British architects of the nineteenth century. 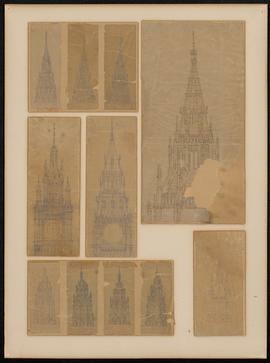 His work can be considered as the epitome of historicism, as he designed buildings in the Gothic, Greek, and Renaissance revival styles. 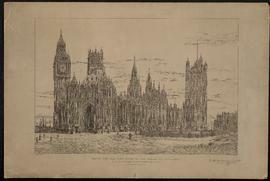 He is best known for his competition-winning designs for the Houses of Parliament in London (1836) and for the designs of private clubs such as the Manchester Atheneum (1836-1839) and the Reform Club in London (1837-1841). 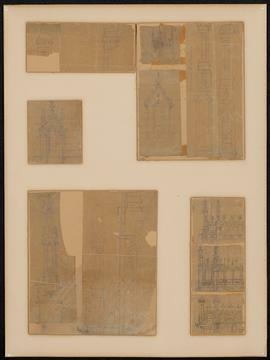 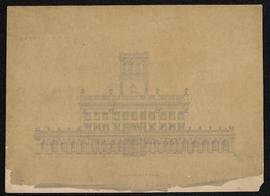 The fonds contains drawings for six projects (18 originals and 1 copy) dating from 1835-1850, including the Manchester Atheneum (1836-1839), the Italianate Trentham Hall in Staffordshire (1934-1949), the Houses of Parliament (1836) in London at Westminster (elevations, perspective and details) and the Reform Club in London (1837-1841). 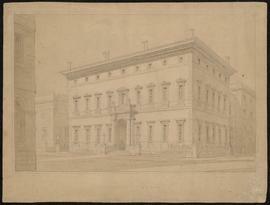 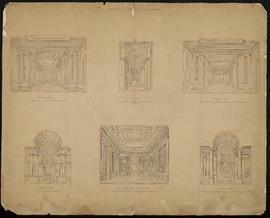 Le fonds contient les dessins de six projets (18 originaux et 1 copie), notamment le Manchester Atheneum (1836-1839), le Italianate Trentham Hall de Staffordshire (1834-1849), le Parlement de Londres (1836) à Westminster (élévations, perspectives et détails) et le Reform Club de Londres (1837-1841). 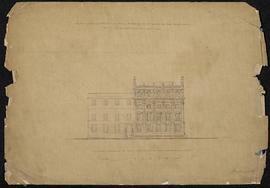 Architecture -- England -- London -- Designs and plans. 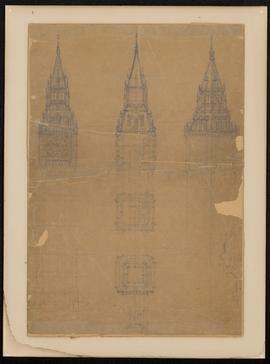 Architecture -- England -- Manchester -- Designs and plans.